October was such a great month for me on the scrappy front . 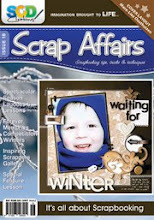 . . all thanks to the LOAD challenge Cathy van de Bruinhorst was hosting at Let's Scrap!! 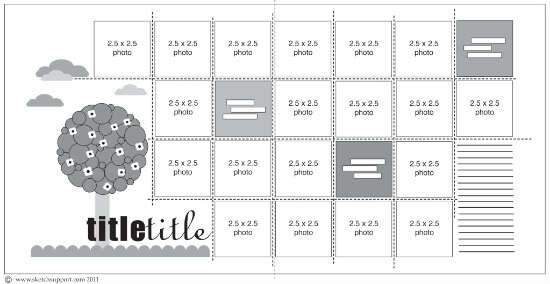 I'm happy to report that I have managed to completed 27 layouts (single and 2-pagers bring page count to 43) in October . . . wHoOp WhOoP!!! What makes me very proud of myself is the fact that I LOVE what I created in this time. 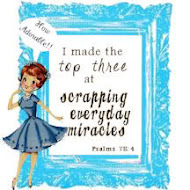 I am definitely on a scrappy high right now and I'm loving the feeling!! 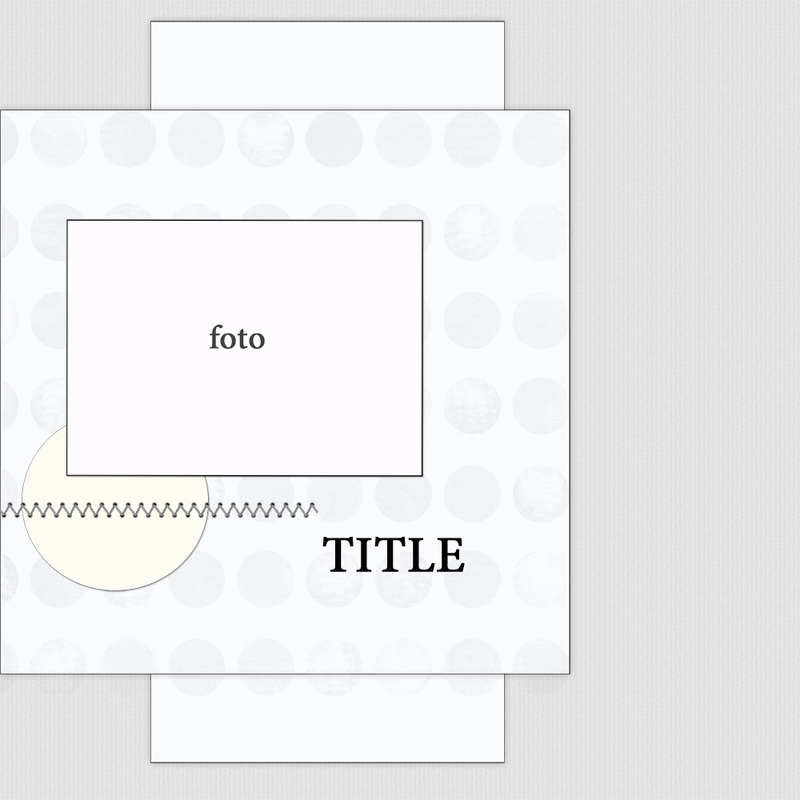 But I also had the urge to create more than just layouts . . . I want to do something pretty and different. The last couple of days that is just what I did. I was looking through the Silhouette Studio online shop and I found these Lori Whitlock drawer box cutting file . . . and in a flash I knew what I wanted to do with them!! Since we sent all our stuff home in June, I was looking for something where I could keep a few pieces of costume jewelry in. And Lori's little boxes was perfect!! Once cut, they are easy to assemble and very sturdy . . . which surprised me!! Here's a look at my new jewelry box . . . I went all girly on this project, since it was something for me, and every time I look at it, it makes me smile!! I also worked on printers tray . . . something I really LOVE to do!! This time I wanted to create something Christmas-sy! I used a white 7 Gypsies tray and paired it up with the new Merry and Bright collection from MME. I love the beautiful colors and images of this line. Here is a look at the completed tray . . . I can't wait to display this one around the house during Christmas time!! I have a baby album to complete and another mini album that I need to work on . . . my goal for November!! I've you are celebrating Halloween . . . have fun and stay safe!! Happy Wednesday!! 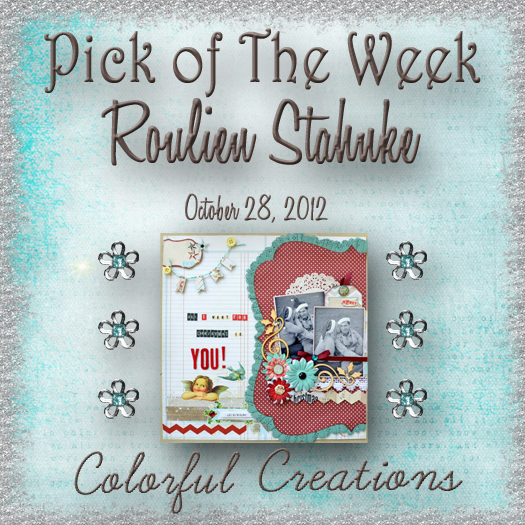 I'm "Pick Of The Week"!!! Thank you Colorful Creations for picking my layout as your favorite for the week!!! Such an honor!! Here are a look at the layout . 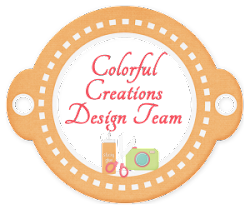 . .
Be sure to go visit Colorful Creations and check out all the wonderful challenges they have going on!! And the gallery are full of eye candy!! I quickly wanted to share this weeks Let's Scrap sketch with you. When at first I saw the sketch I wasn't loving it, but I truly loved the amazing layouts the DT came up with for this sketch, and just had to give it a go! I wanted to scrap some of my hubbies Europe photos of last year. Such a shame that I haven't worked on these photos earlier. 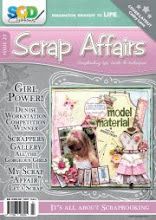 I don't know about you, but I have a hard time in scrapping something that I haven't experienced myself . . . weird?? Here is this weeks Let's Scrap sketch . . .
And here is my take for this week . . . 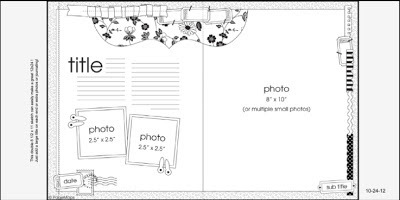 I used the right hand side of the sketch and created a booklet using one of the Heidi Swapp memory files. 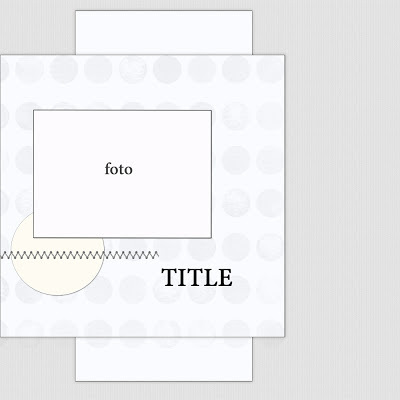 I cut the front of the file in half, and then created a little mini-book to add lots more photos for this layout. I found the inspiration for this on Heidi Swapp's blog. I love these Kaisercraft frames and they worked beautifully here. 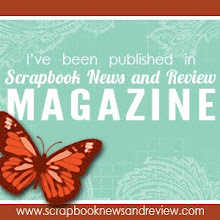 I also used Heidi Swapp and Kaisercraft stamps to create interest! Here are some close-up's of the mini-book . .
We need to add the journaling, but I'm waiting for my DH to help me with that! I'm going to do the rest of his Europe trip in the same way . . . using the Heidi Swapp memory files. I kind of like the way this one turned out. Thanks for stopping by! Have a wonderful weekend!! Just want to share . . .
a new layout I created today and LOVING how it turned out!!! 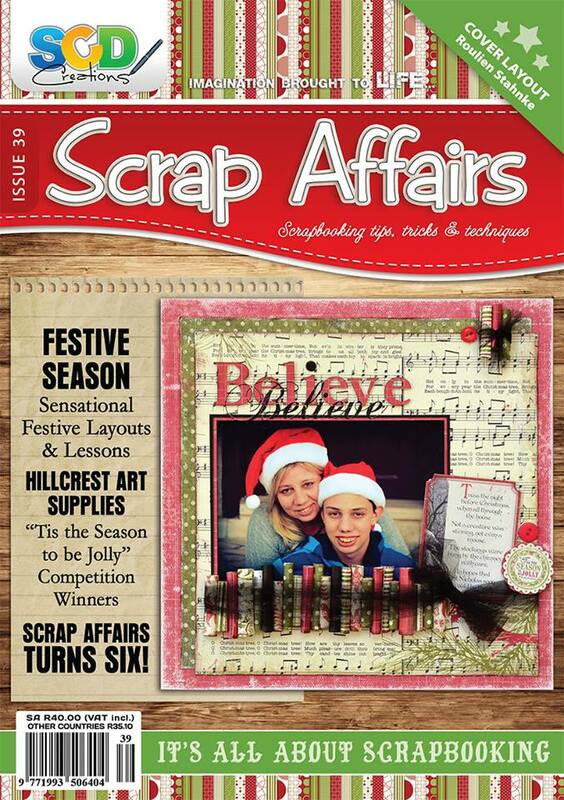 I've seen a layout like this in the Christmas issue of Scrap Affairs last year. The design of imitating an Advent calender just stuck with me. Today I decided to make one using the Advent calender as inspiration. I recently ordered the new Teresa Collins Christmas Cottage collection and that's what I used for this layout. Here's a look at what I created . . I found the tree at Inkspired Treasures blog and though it would work perfectly here. 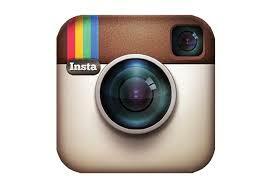 We are doing a family photo shoot soon and I will then add my photos . . . can't wait!!! Here are a few close-up's . . . This also brings my LOAD challenge count to #38 & 39 for October . . . WHOO-OOH!! I have lots of more LOAD layouts to share with you tomorrow!! You will need a cup of coffee/tea when you visit again!! See ya soon!! I made the Top 3!!! 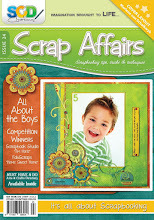 I'm so excited and honored that my Treasured Moments layout was chosen as one of the Top 3 at Scrap Africa!! If you've missed it the first time, here's a look at the layout again . . . 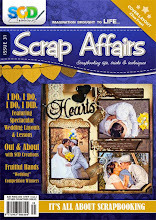 Thank you, Scrap Africa Team for featuring my work on you blog!! Challenge #10 are up and running on the blog . 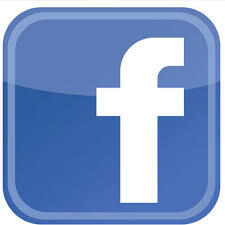 . . it's a white challenge and lots of fun!! Be sure to check it out!! Wishing you all a GREAT weekend!! 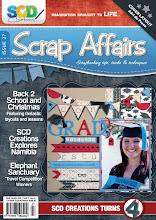 The new Scrap Africa challenge has been posted to the blog and it's a really GREAT challenge!! Here is the details . . .
"After some thoughts we decided to make the white challenge! and if you wish you can add one color of your choice, but white must remain the main color, it must dominate. You can make a card or a layout or altered art. You can also use a bit of kraft." 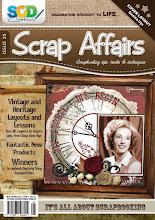 The Scrap Africa Team has some beautiful examples on the blog . 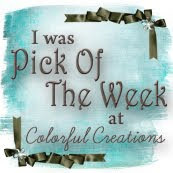 . . be sure to stop by and check out their wonderful creations! I've been playing for a while with an idea in my head. I wanted to do a layout celebrating the birth of our gorgeous grandson, Llewellyn. I've done layouts of his birth, but not one about him being a New Years baby . . . to us, this is so special! This challenge was perfect for this idea. Here is what I created . . . This is one of the very first photos of this little man! 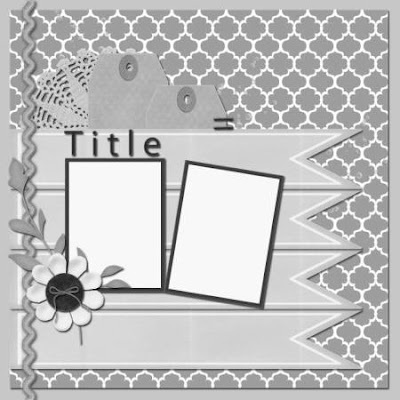 I used my Silhouette Cameo to cut the border around the page and the butterflies. I'm so happy with the end result!! Thanks for stopping by and have a GREAT Thursday!! 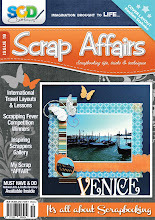 Here is my entry for the Scrap Africa sketch challenge that ends tonight . . . I know, I've cut this one to the wire!!! Here the sketch I worked with . . . I thought the sketch to be an easy one, but so versatile!! My layout came together very quickly! Here's a look at my page . . .
How sweet is this photo!! Melts my heart every-sinlge-time!! Here goes LOAD #8 and 9! After having some wonderful playtime yesterday, I have a few more layouts to show you. First up is LOAD #8. This one is a scraplift from a layout I found on Pinterest! Who does not love Pinterest?? And of course I've added my own twist to make this layout mine. Here is what I've created . . . I have to tell you, this picture makes me smile. It's just the sweetest thing to see!! I love them both so much! And here is LOAD #9, which I created for the Twisted Blueprints #15 challenge at Colorful Creations. You had to use the sketch . . .
and the twist is to add something hard, something soft and something distressed. Here is my layout . . .
Something hard ~ buttons and chipboard alpha's, something soft ~ doilly and twine, distessed ~ edges of background paper and banners. I hope to have more to share with you later on today! Have a wonderful Saturday!! 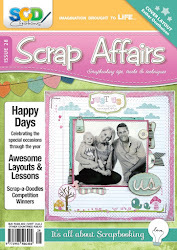 I'm so blessed to have lots of scrappy time this weekend!! My hubby are working long hours and my son is having a sleepover at a friends house. That leaves me with plenty ME time!! 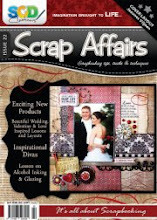 This week Let's Scrap has a fun sketch with lots of pictures for us to play with. Here's the sketch . . .
and here is my take . . .
A friend of mine took these gorgeous photos of our precious grandson a few months ago, and it couldn't be more perfect for this layout. I wanted to capture every part of him! You'll see photos of his hands, feet, nose, ear, navel, the cutest bum ever, and eyes. Here are some close-up's . . . 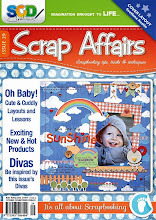 This also counts for the LOAD challenge we are also having at Let's Scrap!! I wanted to scrap this photo of my dad, uncle and grandma which my sister gave me in January, honoring my grandma, whom I never knew. She died a few months before I was born in 1971 after being involved in a car accident. My grandma lived with my family at that time, and after an evening at the drive-in they were involved in the crash. My mom was thrown from the car . . . if I remember correctly she was 7 months pregnant with me. My grandma died later that evening in hospital. My mom and dad always praised my grandma, and I would have loved to have known her. This layout is my tribute to her. and some of the details . . . Thanks for stopping by! I'll have another layout tomorrow! !